Dr. Mohamed G. K. Mansaray is an Associate at Mid-Atlantic Children’s Services, Inc., and Mid-Atlantic Psychological Services. He is a licensed clinical psychologist in Maryland and Virginia. Dr. Mansaray primarily conducts psychotherapy and psychological assessments. He also occasionally provides supervision to graduate trainees and mental health professionals. 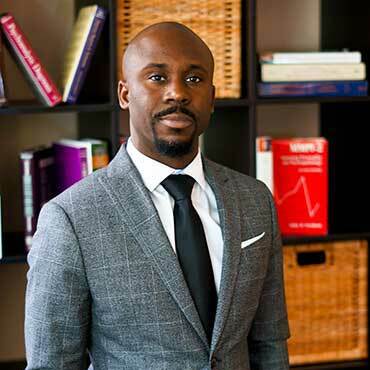 Dr. Mansaray has significant experience in performing forensic and educational evaluations. His research interests include exploring racial disparities in education. As an Associate, Dr. Mansaray administers personalized assessments for clients of all ages and demographics. He is skillful in treating a myriad of psychological issues and life stressors. His therapeutic approach is individualized, as he is careful to consider cultural and individual factors that could impact therapeutic progress. Dr. Mansaray accepts appointments at our Maryland and Virginia locations. EDUCATION: Morgan State University, Bachelor of Science in Psychology (2004). Master in Clinical Psychology at Argosy University/ Washington DC (2006). Doctorate (2013) in Clinical Psychology at the Loyola University Maryland (APA-Accredited). INTERNSHIP TRAINING: APA Accredited internship at Springfield Hospital Center in Sykesville, MD. Provided clinical services, including individual and group therapy, psychological assessment, and crisis response, in an inpatient psychiatric hospital setting. CREDENTIALS: Licensed Psychologist in the State of Maryland; Licensed Clinical Psychologist in the Commonwealth of Virginia. SERVICES PROVIDED: Comprehensive Evaluations including, but not limited to, Psychoeducational, Clinical, Parental Capacity, and Competency assessments with children, adolescents, and adults; Therapy with children, adolescents and adults. Clinical Supervision; Clinical/Forensic Consultation, Expert Witness and Executive Coaching.